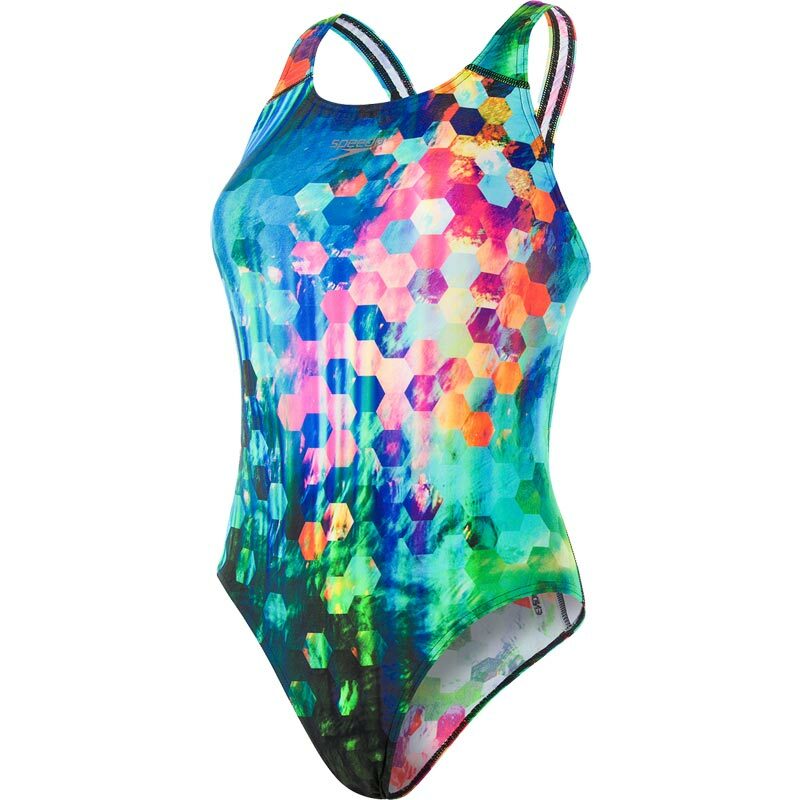 Liven up the start line wearing the Speedo ® FlareFlash Powerback Competition Swimsuit featuring a head-turning digital print design and discreet front lining. Built from high performance, quick-drying Endurance+ fabric, its powerback style stretches with every stroke for superb comfort and freedom of movement. 100% chlorine resistant.